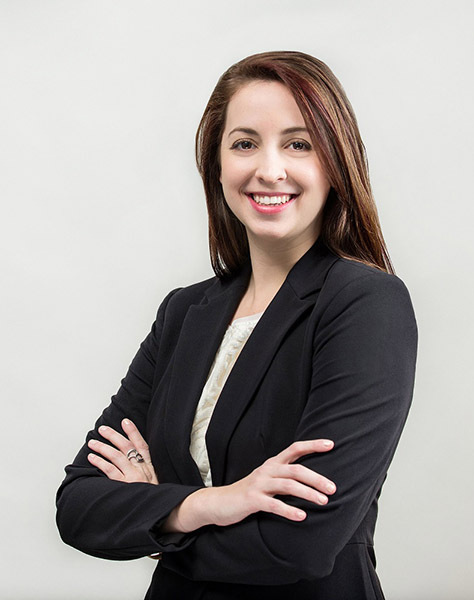 I am an immigration attorney working to ensure companies are complying with labor and immigration laws, with additional experience in family-based immigration. Also, I am developing resources on how companies can be proactive to better protect human rights in their business. As an advocate to end the use of forced labor, I can help a company identify where there may be a risk of forced labor being uncovered in the supply chain. I have a passion for helping companies understand the risk of indirectly violating human rights through awareness and policy implementation. I am also a Sexual Assault Victim Advocate in Gloucester and Camden counties, responding to hospitals when a victim of sexual assault arrives, to support them through the investigation. Do you have a tip or tool that has helped you in your business? Training in other disciplines has helped me in my profession. I am an attorney on a daily basis, but I have also gone through various training on working with clients who are victims of crime from a mental health perspective. Although I am not an expert on mental health issues and PTSD, it has helped me to approach my cases with more compassion and be a better advocate, when I have an understanding of the neuroscience behind trauma. Do you have a quote to share and inspire other members? “She believed she could, so she did.” Not sure who said it, but it is something that will motivate me when I am feeling stuck or need inspiration. What is your go to business, mindset or productivity book that has helped you in your life and business that you’d like to share? To find motivation and improve productivity, I like to turn to books that encompass life lessons. Right now, “I Dare Me” by Lu Ann Cahn is at the top of my reading list. It is about a woman who proves she can overcome any obstacles life throws at her by challenging herself to do something scary and new every day for a year. Please tell us about your next upcoming business event so that we can share it with our members and followers. I will be doing an interview with Denise Pereau from Renaissance Living on RVN TV on April18 at 11:30am. Our discussion will be about human trafficking. The interview can be streamed online at www.rvntv.tv. Also, I will be co-hosting an upcoming NAWBO Mixer with Lynda Furnari (PNC Wealth Management) in the near future. There will be more information to come.